Be sure to log in to access members-only resources. The National Middle Level Science Teachers Association (NMLSTA) was conceived in the summer of 1989 by a group of teachers attending the Woodrow Wilson Institute of Physical Science at Princeton University. 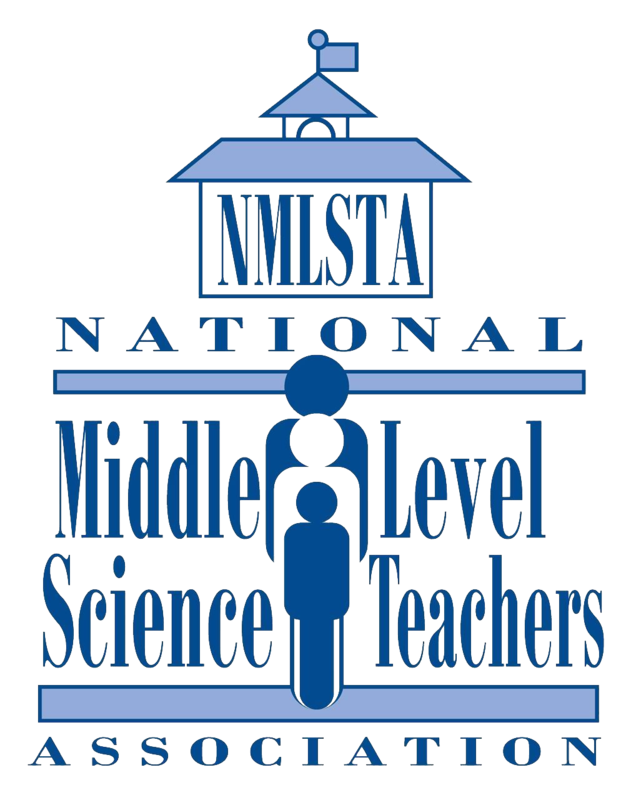 The vision for NMLSTA arose out of a desire to create an organization that represented the unique needs of middle level science educators and students. Dale Rosene, then NSTA Middle Level Division Director, received letters from teachers all over the country attesting for the necessity for such an organization. Authorization by NSTA to form a membership group that represented middle level science teachers was obtained by NSTA Middle Level Division Director Joan Hall in 1990. In 1991 NMLSTA became an official organization with NSTA President Bonnie Brunkhorst providing support for the incorporation process. At the 1991 NSTA National Convention in Houston, Texas, NMLSTA held its inaugural meeting during which time officers were elected to their board positions from a membership composed of over 500 middle level teachers. Since that time, a multitude of middle level teachers have volunteered their time to serve in leadership positions as Officers, Board members, and on committees and hundreds of members shared their unique lessons, activities, and experiences through poster sessions, share-a-thons, and articles in Science Scope and in The Level Line, NMLSTA’s quarterly newsletter. NMLSTA has also strengthened its relationship with NSTA since its inception. In 2007, NMLSTA President Annette Barzal attended NSTA’s inaugural meeting of the Alliance of Affiliates (AoA), thus ensuring that middle level science educators will continue to play an important role in NSTA’s decision-making processes. For over 25 years, companies and industries have supported NMLSTA. Some companies have had name changes or merged, but their support has been consistent in the growth of NMLSTA. These include the American Chemistry Council, Carolina Biological, Delta Education, Earthwatch, Frey, Intel, Lab Aids, Lawrence Hall of Science, NASA, Ohaus, PASCO Scientific, Pitsco, Premier Science, Prentice Hall, Quizdom, School Specialties, Showboard, Steck-Vaughn, Texas Instruments, Virtual Link, Ward’s Science, Weekly Reader, and Women in Mining. In particular, the American Chemistry Council has had a long-standing relationship with NMLSTA. With the aid of middle level teachers, the American Chemistry Council developed the Hands on Plastics Kit™ which uses modules that focus on the teaching of polymers and plastics. Over 30,000 of these kits have been distributed through the American Chemistry Council and NMLSTA, and are still available for purchase on line. Delta Education has also served as a significant, long-time partner to NMLSTA. Delta sponsors the annual Paul deHart Hurd Award which recognizes an NMLSTA member who has demonstrated both exemplary science teaching performance in a middle level classroom and leadership in sharing these skills and ideas with others. A monetary stipend provided by Delta helps to defray the cost of attending the NSTA National Conference to accept the award. NMLSTA’s influence has perhaps been most visible through the various social events that the organization sponsors at the annual NSTA National Conference. These events, which have included ice cream socials, breakfasts, and luncheons, have been pivotal in providing venues for teachers to meet and share ideas and thoughts related to middle level science education. Since 2014 NMLSTA has been sponsoring Meet Me in the Middle Day. MMITM Day combines the energies of NMLSTA and NSTA leaders in creating an entire day of events featuring networking opportunities and sessions geared specifically for the middle level science educator. This year’s NSTA national conference marks NMLSTA’s 3rd MMITM Day and promises to be extremely successful. Over the last two and a half decades, there have been many changes to the way science is viewed by the general public and the way teachers are expected to deliver science practices and content, yet NMLSTA’s mission has remained consistent. Advances in technology have allowed NMLSTA to better meet the needs of its membership through initiatives such as updating The Level Line with an enewsletter, creating an interactive website, and conducting online NMLSTA board meetings. The next 25 years will no doubt bring additional changes that will reflect opportunities and challenges related to implementing the Next Generation Science Standards (NGSS). We welcome these changes and remain committed to supporting middle level science educators. NMLSTA: Over 25 years of service devoted completely to middle level science education! "NMLSTA" is a 501(c)3 non-profit organization.